Consumers interested in using mineral oil for skin care will inevitably come across negative information about this ingredient. Some skin care experts claim that this ingredient clogs pores, some call it a carcinogen, and other simply write it off as completely useless. This can lead to a lot of confusion on behalf of the consumer. If mineral oil is so bad for skin care, then why is it so widely used? Can it really cause cancer and other health problems? 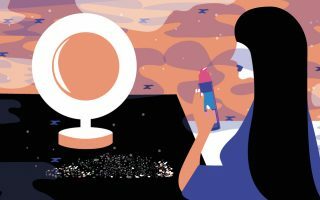 These are great questions to ask, especially in the United States, where regulation of personal care products is less strict than in other parts of the world and the consumer must be vigilant about doing their own research. To help you better understand how companies use mineral oil for skin care applications, we’ve put together a basic overview of this ingredient. However, no amount of internet research is a substitute for the advice of a licensed skin care expert. Therefore, the consumer is advised to speak to a dermatologist before using skin care products containing mineral oil. How is Mineral Oil Made? Before it’s used for skin care, mineral oil has to be refined from petroleum. Yes, we’re talking about that same substance that can be refined into products like gasoline, lubricants and asphalt, is also the starting point for mineral oil. During this manufacturing process there are several purities of this oil that can be created, with some being used for industrial applications, while the purest versions of mineral oil are used in skin care products. Why Companies Use Mineral Oil for Skin Care? Mineral oil is a common ingredient in skin care products because of its ability to prevent moisture loss. It’s an interesting ingredient because it doesn’t have many other purposes. In this way, it is similar to ingredients like hyaluronic acid, which also has just one purpose (to draw moisture to the treatment area). However, this simplicity may lead some to under-appreciate the benefits of mineral oil for skin. Certainly, it may not have antioxidants or skin brightening properties, but prevention of moisture loss is a helpful property. This is especially true for individuals who live in harsh environments with very cold, dry weather. In such cases, the benefits of other ingredients and mineral oil can be very helpful for skin. Lastly, it’s important to note that skin care companies use mineral oil in skin care applications because of its low cost. 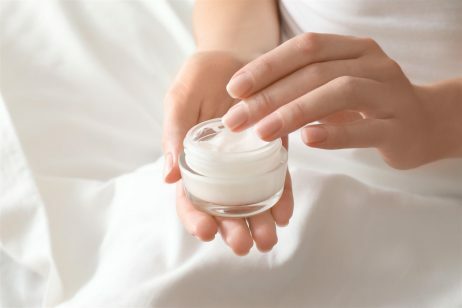 By avoiding more expensive alternatives to this ingredient, the consumer has access to more low cost skin care products. What Skin Care Products Contain Mineral Oil? Mineral oil is formulated into many skin care products, including sunscreen, diaper cream, lip gloss, undereye cream, and deodorants, among others. It’s low cost and wide availability make it a popular ingredient with many manufacturers, who sometimes refer to it as liquid paraffin. There has been some debate among skin care professionals as to whether mineral oil can cause cancer when used in skin care products. Unfortunately, misinformation about this ingredient has led to a barrage of articles on skin care blogs about how this ingredient is a potential carcinogen. However, mineral oil for skin care purposes is a different type of purity than industrial grade mineral oil. It all has to do with the refining process and the purity that is achieved during manufacturing. The oil that is refined for inclusion in skin care products is much more pure and is not believed to contain carcinogens. The only time mineral oil that was derived for skin care purposes could have dangerous levels of cancer-causing chemicals is if there was an error in the manufacturing process, leading to impurities. Does Mineral Oil Cause Acne? Another common concern with mineral oil in skin care is whether it can clog pores, thereby causing acne. Unfortunately, the data on this potential side effect is inconclusive. Some skin care experts suggest that there is no way for mineral oil to cause acne, if the pure form of this chemical is used. However, others site anecdotal evidence that this petroleum derivative may cause issues when used in large quantities. Though mineral oil may seem to be relatively benign in skin care applications, it’s none-the-less important to note that some studies point to potential side effects. For example, one of the concerns with this chemical is the potential for bioaccumulation. Although its molecules are typically too large to penetrate the skin, regular use of products with this ingredient can cause the molecules to accumulate in the body due to penetration through broken skin or because of use in lip balms. As of yet, there isn’t definitive information as to what long term effects this bioaccumulation can have. However, some studies suggest that large quantities of mineral oil in the skin can lead to allergic reaction and/or toxicity of the immune system. To avoid serious side effects from this ingredient, it’s vital to consult with a dermatologist before using mineral oil for skin care.